Waist trainers have made a comeback in the recent years. 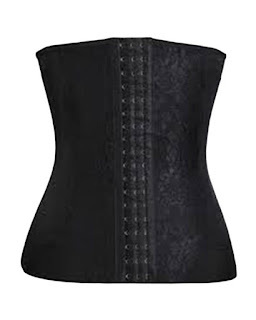 The corset is especially popular with celebrity new moms with the likes of Kim Kardashian and Blac Chyna singing its praise. And if their post-pregnancy bodies are anything to go by, then we can all agree that waist training works wonders! Postpartum belly bands are waist trainers that help your tummy return to its pre-pregnancy state. If you’ve been pregnant, then you know how swollen and huge your belly looks and feels after delivery. This postpartum belly band helps tone up your core muscles thus helping your tummy to shrink back to it’s original size. It works by training your body to tense up the muscles while giving your back the much needed support. For best results, it is advisable to wear a postpartum belt everyday day and night for at least a month following delivery.